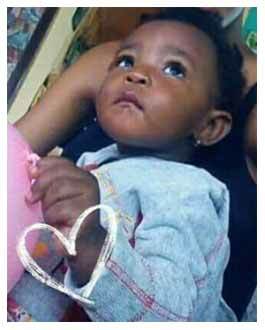 The Reporter has confirmed that 17-month-old baby, Alyssa Sherylee Nunez, died around 4:00 this morning at the Karl Heusner Memorial Hospital (KHMH), four days after being raped and brutalized allegedly by her stepfather. In the aftermath, Belizeans have taken to streets across the country, calling for justice. The accused, Everal Martinez, 21, was charged with ‘dangerous harm’ on Friday. According to Assistant Commissioner of Police, Chester Williams, police expect to upgrade charges soon. He told the media this morning that the next course of action will depend on the child’s post-mortem results, which should be done in the next few days. Baby Alyssa was rushed to the KHMH on Wednesday in a critical condition. A medical examination certified that she had been raped vaginally and anally. She was also reportedly physically abused. On Friday night protests were simultaneously held in Belize city, Orange Walk and San Ignacio, demanding justice for baby Alyssa. There was a protest held this morning in Belize city, following the news of baby Alyssa’s passing, which included a parade in downtown Belize City. In the wake of the horrific news on Thursday, March 1, 2018, that of a 17-month old baby girl was brutally raped in Maskall Village, Belize, the nation grew angry and residents of Belize City and San Pedro, Ambergris Caye took to the streets in protest.